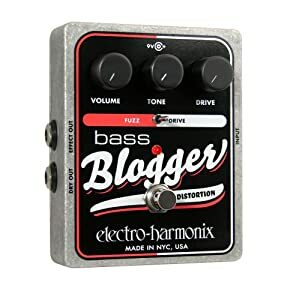 I’ve brought up the EHX Bass Blogger in the past. It’s an interesting dirt box for bass guitar. One thing this pedal needs is a really good demo, unfortunately there isn’t much out there, but I came across a decent one by 13th Street Guitars. First let’s talk about what the Bass Blogger is all about. There are numerous bass guitar in the market that can be considered if you want high quality sound for this instrument. Thanks for this great guitar review, it was really useful and informative.